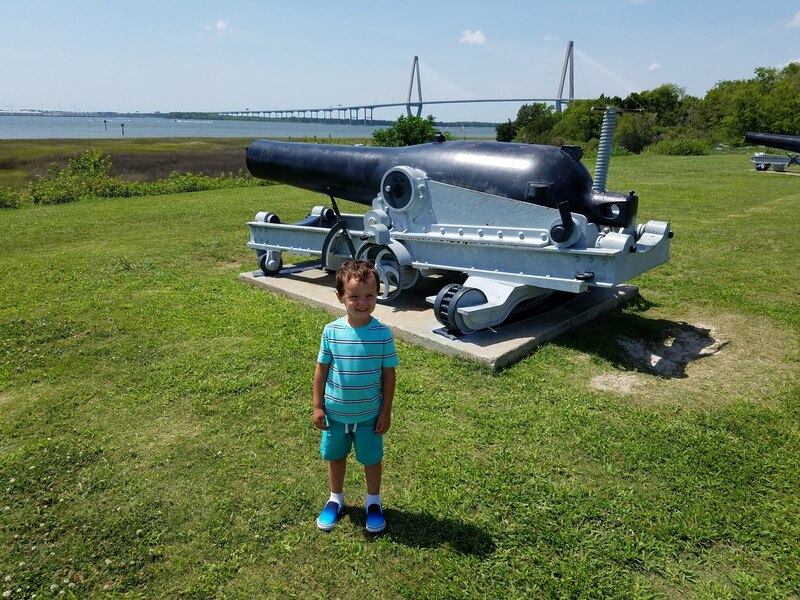 Hilton Head island, located just over the South Carolina border and under one hour from Savannah, is a natural beauty with family vacation activities for all ages. Hilton Head Island has been named one of the top 10 family beaches in the country, and my family would agree! 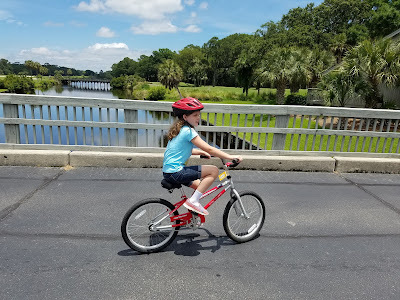 The island has numerous family-friendly vacation rentals from condos to coastal homes to palatial estates and top brand resorts like Westin and Omni also. You can always find Hilton Head accommodations to fit your needs, regardless of the size of your family or the length of your stay. What is there to do on Hilton Head Island? 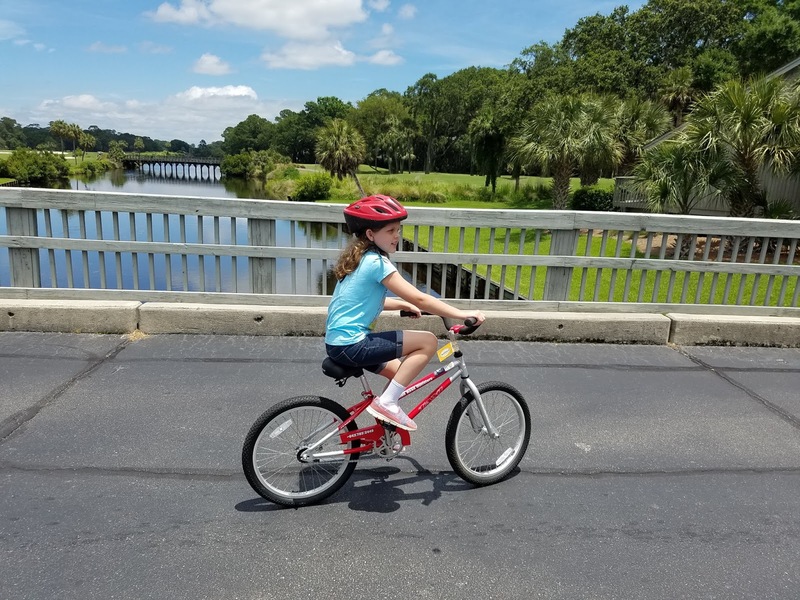 The top five activities on Hilton Head listed by Trip Advisor include bike trails, Colingy Beach, boat tours, a forest preserve, and the Coastal Discovery Museum. 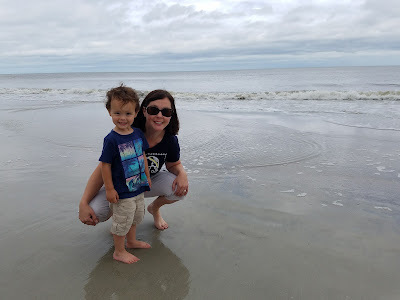 Our most recent trip consisted of plenty of beach and pool time, some bike rides, a mini golf night, and several delicious meals at top-rated Hilton Head seafood restaurants. 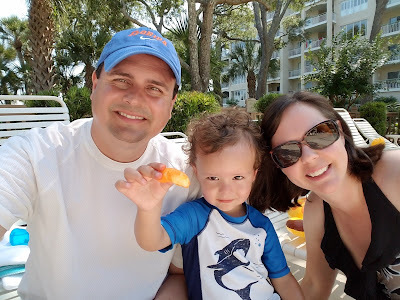 Our favorite family restaurant on Hilton Head Island is probably Marley's Island Seafood Grille. This restaurant has a vibrant tropical theme, amazing food, a kids' menu, and an outdoor deck with frequent live entertainment. We also just discovered a great little place for Po Boys and fried seafood baskets: Kenny B's Cajun Seafood Hut has a New Orleans theme and Southern style. The best mini golf in Hilton Head, in our opinion, is Pirate's Island Adventure Mini Golf. We were able to take a night out with just the big kid and enjoy the evening with skeletons, pirates, and putting greens. Two courses are available and the attraction features a waterfall and a cave and lots of fun putting challenges. 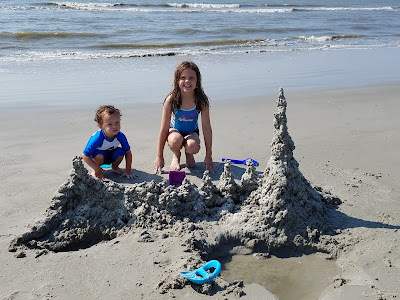 Take a look at Hilton Head Island for your next family beach vacation. It's just shy of a five-hour drive from the Atlanta area and it is a blast for all! 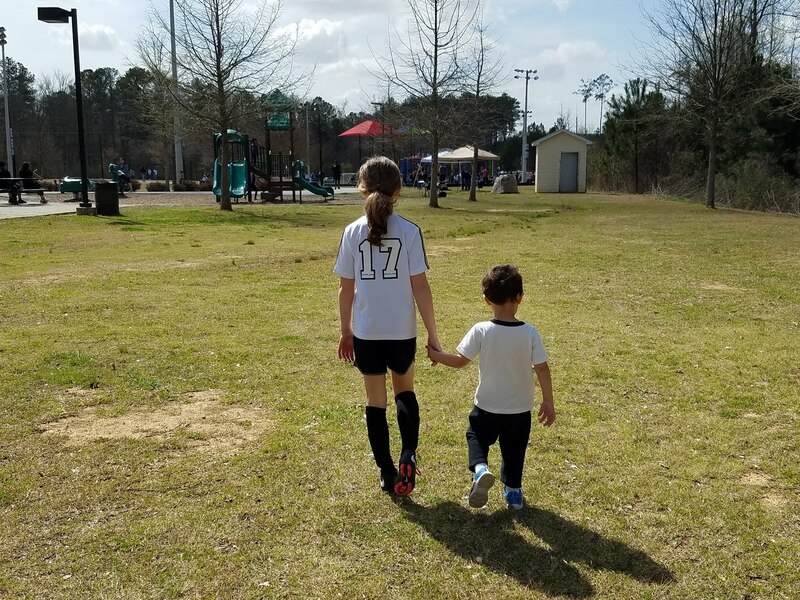 After a long absence, I'm linked up to Mommy and Me Monday with Really Are You Serious.